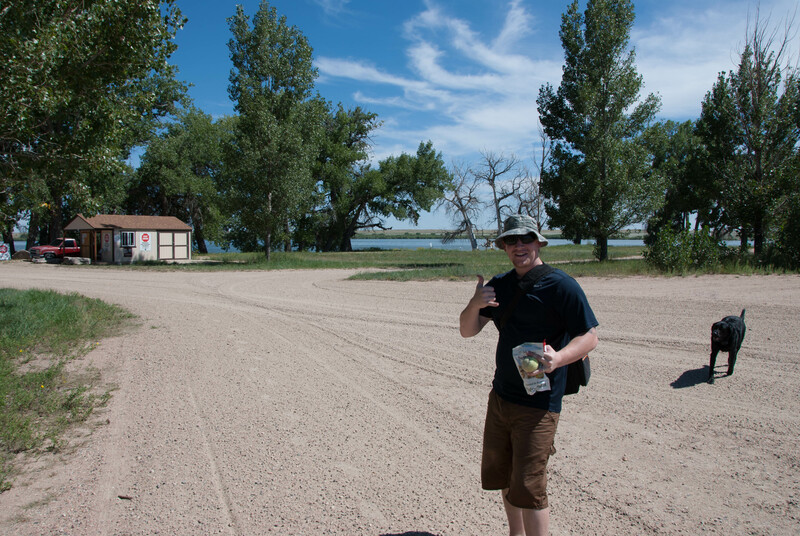 Prewitt Reservoir is a 2,400-acre body of water in the northeastern part of Colorado, not far from Fort Morgan. The area is established for camping, hunting, boating, and hiking, and the reservoir is stocked with fish. Freedom Alliance arranged to host a soldier there for an outdoor adventure on the lakeshore, followed by a day out on a boat. When an improvised explosive detonated near Jeff while he was deployed as a military policeman in Afghanistan, the soldier’s physical ability was impacted. He presently suffers from knee and back injuries and must contend with emotional stress, moreover. To honor his eight years of military service and sacrifice in the line of duty, Freedom Alliance escorted Jeff to the Colorado State Wildlife Area. Guy and Steve were volunteers who brought the boat to Prewitt Reservoir and acted as fishing guides during the trip. After a night on the banks of the reservoir, Jeff awoke before dawn for a camp-style breakfast burrito before boarding the boat. The crew spent the day cruising the lake, trying to tempt the resident fish, such as walleye and rainbow trout, onto their lines. Taking a break for a bite themselves (burgers on the grill), the boat set out once again, and Jeff enjoyed some swimming that afternoon, until a storm chased him out of the water. For soldiers like Jeff, dealing with physical injuries and combat stress, a peaceful and fun outdoor getaway—such as this trip, which combined camping, fishing, and boating—can mean the world.